Doris Ulmann, photographer. 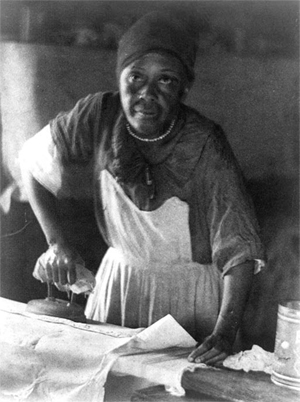 [African American woman ironing]. Photogravure, 1933. Library of Congress. For this year’s April A-Z Challenge I am blogging a series of sketches about the free people formerly enslaved on the Cleage plantations in Athens, Tennessee and their descendents. Click on any image to enlarge. Tennessee Cleage was my great grandfather Louis Cleage’s younger sister. She was born into slavery about 1864 on Alexander Cleage’s plantation in Athens, TN. I found her living with my great grandfather, Louis Cleage’s family in 1880. My great grandfather Louis Cleage was 28. His wife Celia (Rice) Cleage was 24. They were farming in Loudon County Tennessee. They had been married for 8 years and were the parents of four children – 7 year old Josie, 5 year old Jacob, 3 year old Henry and 1 year old Edward. Their 5th and youngest child, my grandfather Albert, would not be born until 1882. Twenty year old Tennessee lived with them along with 5 year old Louseny. None of the adults could read or write. The children were too young to attend school. The 1880 Agricultural Census Schedule that includes Louis Cleage is in poor condition. Parts of it are unreadable because they are blackened. Other parts are pale and blurry making them difficult to read. This is the information I could make out. He rented his land for shares of his crops. He had 15 tillable acres and 5 acres in woodland and forest. 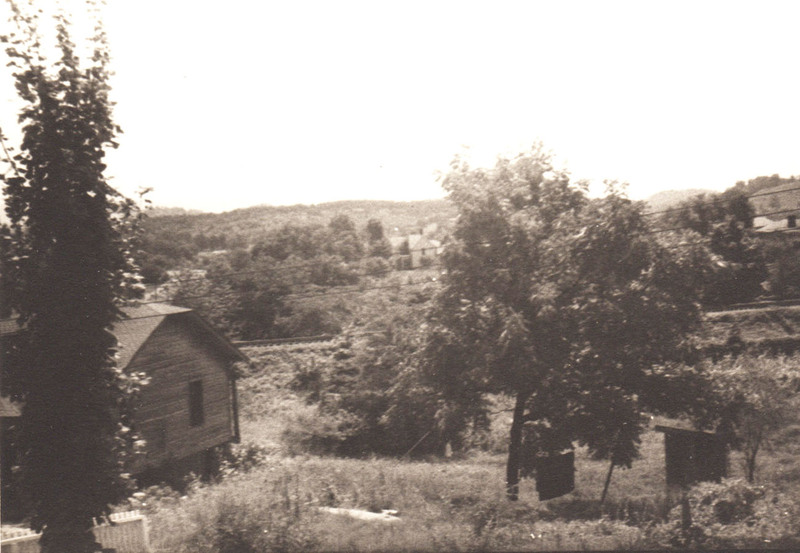 The farm, buildings, land and fences were worth $150. Farm implements and machinery were worth $125. The livestock was worth $125. He had 1 milch cow and produced 25 lbs of butter in 1879. I was unable to read if he had any swine, chickens, mules or horses, I hope he did. He had no working oxen. He planted 25 acres of Indian corn, yielding 100 bushels. He planted 5 acres of oats, yielding 25 bushels and 5 acres of wheat that yielded 25 bushels. I think that Tennessee would have helped on the farm. Tennessee disappears for twenty years. The census record for Loudon County has many bad spots where it’s impossible to make out names and the rural area she lived in did not have a city directory, so she does not appear again until 1910. In 1910, Tennessee lived with her sister Angeline Cleage Rhea and her husband Jacob in Loudon County, TN. Her age was listed as 46. Jacob did general farm labor. Angeline and Tennessee had no occupation given. Tennessee had no children and was single. She could not read or write. Angeline and Jacob were literate. On April 19, 1912 Tennessee died of Inflammatory Rheumatism. This type of rheumatism causes the joints to become inflamed and eventually damages the internal organs. My grandfather’s brother, Edward Cleage suffered with it, as did one of his daughters. On the certificate Tennessee’s occupation is listed as “domestic”. The disease probably made it difficult for her to pursue any physical type of work in her later years. Her age was listed as 45. This is another example of records giving contradictory ages. I like the name Tennessee Cleage! It has a good ring to it. I find it interesting that she only shows up with sisters or brothers. I hope she had wonderful adventures during her unrecorded years. I’m glad you like the name. Beats some I have heard as suggested baby names… I doubt she had wonderful adventures but if she did, I hope I find out about them. It was through looking for her and wondering who the couple she was living with were that I found another sister of my great grandfather. I would like to imagine the unrecorded years were spent travelling the South, solving crimes the authorities wouldn’t touch and fighting against racism and misogyny all the while. That would be a damn fine book or TV mini-series. All the while posing as a humble domestic servant. That could work. The Adventures of Tennessee Cleage. i am a decendent of Clifford Edison Young. My Grandmother was married to his brother James Harvey Young, we have been tracing our heritage for many years. my cousin is Gwendolyn Young i will be contacting you. I have a relative named Tennessee too. Tennessee Bragg was her name. Possibly Tennessee Cleage stayed with relatives because of her chronic illness. I hate the sloppiness of census takers too. In one census my grand dad and his brothers are all described as female and are given names as Rachel (Richard) Rosie (Roosevelt) etc. You are almost finished with the challenge. Don’t stop now keep blogging!